I'm Really Stoked with E3Live! 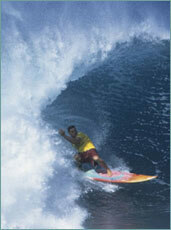 In the surfing world, being the Triple Crown Champion is like winning the World Series. I'm always looking for that competitive edge and for ways to improve my performance. I'm confident that I've found it with E3Live, which was put to the test when I was going man to man with the current world's champ at the Rip Curl World Cup. I had just gotten wiped out by a wave and my time was running out. It took supreme stamina and mental focus to paddle back to catch the last wave that put me over the top. I'm absolutely confident that E3Live made the difference. My first chance to test E3Live was the XCEL PRO competition. I used E3Live in my blended fruit smoothie in the morning and then made a second batch that I drank throughout the rest of the day. Mentally, E3Live helped me to stay clear-minded and focused all day. Physically, I usually feel somewhat fatigued after a twenty minute heat of non-stop paddling, but with the help of E3Live, I felt fine and eager for my next heat. In all, I surfed five heats that day and took first place in my first four heats and finished third overall out of 160 world-class competitors. So, as we say in Hawaii, I'm "really stoked" with E3Live! Not only am I glad I finally found E3Live to boost my surfing performance, it also contributes to my overall health and well-being. Playing professional golf is as much a mental challenge as it is a physical one. Whether I'm training in the gym or on the course, E3Live gives me the constant energy and focus needed to train throughout the day. Sometimes I find myself on the road for 3-6 weeks at a time. My diet has always been a priority to be functioning at my highest levels. It is sometimes difficult to eat exactly what you want when you're on the road and that's when E3Live can compensate and help my body recover more easily. From the first day of taking E3Live I noticed a difference and I can't imagine my life without it. My body is truly thankful every time I have a shot of E3Live with BrainON; this wild green magical potion feeds into every cell and layer of being; it gives me clarity. Sharp vision and an energetic boost where I feel fully ALIVE for my yoga practice, and continues throughout my entire day. I'd highly recommend for anyone wanting to replenish and positively feed their body with 'living' supplements to use BrainON, as this "future of superfood" provides all of the nutrition your body needs in just a single one ounce shot. When I’m on the grind for a video part we spend a lot of the year hitting street handrails in cities across the US like SLC, Minnesota and Vermont. The conditions are usually brutal with negative temperatures, and our late night sessions go well into the early morning hours. Sometimes we film for 12 straight hours, catch a couple hours sleep and then get right back at it for days, sometimes weeks straight. It’s hard to keep up your energy and even harder to keep hucking yourself down huge handrails where the consequences are doubled by the hard cement below you. Taking E3Live helps to keep me properly nourished. For endurance I add in some Blue Majik, and the Renew Me helps get rid of my muscle pain, fatigue and the beats from hitting the streets. 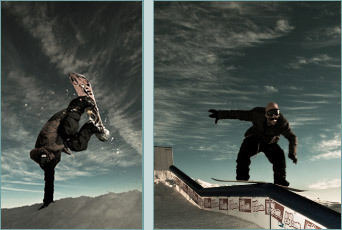 I use E3Live's RenewMe every day in the winter, it helps to sustain me during the long days and nights at The Spot, in the streets or in the backcountry. I double up when I've taken a couple hard hits to speed up my recovery. As a fighter, sometimes I need to lose weight before fights, even up to 20 pounds. E3Live gives me the nutrition that I need and cuts my appetite. With E3Live, I don't feel weak or tired. I feel good first thing in the morning and the day does not have highs and lows in energy that I used to feel. Life can be stressful, in and out of the ring, but with E3Live, I feel happier, more energized and in better spirits. Since I started E3Live, I am amazed by my recuperation time between rounds. In one minute, I am ready. Focus is crucial to any athlete, professional or recreational. E3Live gives me focus like never before. I'm glad to have E3Live on MY winning team! I use E3Live right before my early morning 15k runs to get my energy up. Its helped tremendously with my energy levels and warding off fatigue with my training sessions. It also keeps me in check for the day, reminding me to eat clean and stay focused. One of the best things I ever heard in reference to E3Live was... "I never knew I didn't have mental clarity was until I actual had it.". That 100% applies to my love and affinity for E3Live. As a professional fighter mental clarity means everything when it comes to training i.e. reflexes, timing, motivation, endurance, as well as aiding the overall enjoyment of training hard and competing. E3Live has given me such a massive boost in my athletic endeavours as well as my day to day life. It helps me train harder, faster, longer, and most importantly more intelligently. My recovery time has nearly doubled thanks to the nutritional benefits E3Live provides me with. E3Live has truly helped me surpass my competition. As a raw and vegan athlete I couldn't imagine going a day or training session without E3. I truly believe E3 can help any man, woman, or child on this earth feel and look better! For me drinking E3Live is like consuming pure Light Energy. It is very simple and potent and I feel its effects very quickly. 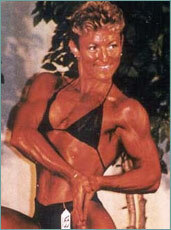 I have been practicing Bikram's Hot Yoga for 14 years, so on a daily basis I am sweating profusely. In 2003 I began to enter Yoga Asana Championships, and in 2005 I won the International Bishnu Charan Ghosh Cup. While preparing for these yoga championships I will practice yoga asanas for 5 hours or more each day. On these days, my food intake is limited because having food in my system holds me back in my asana practice. I have found that E3Live is a food that keeps me going on days of long and strenuous physical activity. It helps me maintain high energy levels and also helps with fast recovery time. I recommend it to everyone who practices yoga. I have been drinking E3Live for over 10 years and it is the foundation of my diet. I know that it is called a supplement, but I tell my students that I consider it to be a "primary" and that everything else that we eat in our lives is the supplement. The strength that I feel from E3 is not just physical, although the physical strength that it delivers is formidable. It is wild strength, like wild animals. You ever think how much stronger wild animals are then humans? This gives us access to the wild power factor which becomes ours - within days of beginning the E3Live I felt like I was a different person. I actually wondered who was this strong person? I did a hand-stand against the wall but for the first time ever I did not really need the wall! I was like a different person! It is also the mental strength and ability to concentrate that I notice to be exceptional in my life. I can work for hours on end without tiring. It is also the spiritual connection and realizations that I feel to be truly the gift of E3. It is scientific fact that when the brain gets the minerals it needs, it can transmit and receive the cosmic radio signals effectively. In my experience simply I feel connected to everything always and I know that the power of E3Live is at the foundation of my radiance. Ever since I started using E3Live products this summer, I haven't felt better in my career. I have more energy and my endurance and recovery has been great. With the season being so demanding I feel that E3Live has given me the edge every night to compete with the best players in the world. 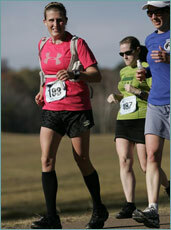 Back in the Spring of 2009 I had a one year old baby and an aspiration to run a marathon! The same month that I decided to run a marathon I found out I was pregnant with my second child! During the same time my sister told me about a product she had just discovered at her fitness center called E3Live. I had never heard of it and I was immediately interested. My sister went on to tell me about how her brain felt clear and she had renewed energy. She warned me..."It's not a magic pill, you won't necessarily feel it instantly but you will look back in a month and say 'wow I feel great' or 'I feel better than I did a month ago". So with that in mind, I set out to find some E3Live. I had some trouble at first because I live in rural Alabama. I made several calls to local health food stores describing the product and nobody had heard of it. I decided just to order directly from the site. At first I was skeptical because it was a minimum of several bottles and what if it didn't work? I called the company and spoke with a representative who assured me that I could return the E3Live if I was not 100 per cent satisfied. The final step before I ordered was to make sure I could take it while pregnant. I took the information to my midwife and with some research she got back to me to let me know that it was totally fine to take while pregnant. I ordered some and I have never looked back... and here I am almost 3 years later. I still love E3Live. Now, back to the marathon... after I gave birth to my second child in the winter of 2010, I set the date for my marathon, it was to be November 2010. I had a long road ahead of me. I had two kids under two and I was going to commit to a very vigorous training regime. I ended up running the marathon and I finished with a time of 4:37. It was honestly one of the most amazing experiences of my life. It was amazing to set a goal and have the deck stacked against you and watch the goal come to fruition. I can say without a doubt if it were not for E3Live I would have not been able to do it. There were times when I had to get up at 4:30am and go run 20 miles while functioning on 4 hours of sleep because of a new baby. I cannot emphasize how important E3Live is in our lives now. As soon as I drink it I feel as though the slate in my head is wiped clean. It makes my head clear, it gives me energy and I just feel so good when I take it. I can definitely tell when I am not taking it. This is a product I will take for the rest of my life. It replaces any multivitamin I have taken in the past. I love it because I don’t have to swallow a pill and I know it’s all natural. I have moved on from marathons to Crossfit these days. It’s a little more conducive to my busy lifestyle. I always feel fantastic while taking E3Live. I am living proof this product works and is worth every penny! Professional Stand Up Paddler Loves E3Live! More than any other supplement or vitamin I have ever used, E3Live's BrainON has proven to be tried and true, and has positively impacted my life in numerous ways. Since I have started using E3Live, I have noticed a clarity of mind, a more positive demeanor on a consistent basis, and an overall feeling of well-being in general. I truly feel like I am functioning at a 'higher vibe' not only during my training sessions, but in my every day life! With a history of severe PMS and intense menstrual cramps, E3Live has seemed to relieve these symptoms drastically throughout the past few months. My partner/fiance has noticed a huge difference too! YAY! As a daily practitioner of power yoga, and a career as a stand up paddleboarder, I have really noticed my recover time lessening. I am able to train longer, and fatigue is almost non-existent! I noticed the difference most when I ran out of my product last month and took a month off E3... not recommended. As owners of "RiseSUP: Stand Up Paddling & Supernatural Lifestyle", my fiance and I will be encouraging all of our clients and friends to get on the E3Live train! Thank you to all the people at E3Live to opening our eyes to the most nutrient dense, effective food on the plant! I'm not sure how I every functioned without it! 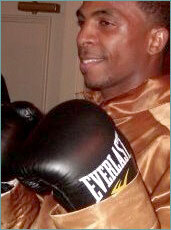 I have competed nationally as a amateur boxer and have been ranked as high as #2 in the US. I am now an undefeated professional fighter. E3Live has been on the journey with me for the past 5 years. Training twice a day, 2 to 3 hour sessions, the body takes a great deal of physical strain and mental stress. E3Live has increased my energy, stamina, and focus to push through the most challenging of sessions. In the ring I am fast, alert, and reactive. 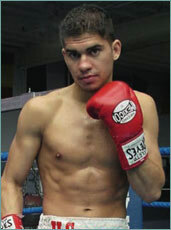 When speaking with someone about what I do, I tell them boxing is my first discipline and nutrition is my second. When it comes to nutrition E3Live is at the top of my list. E3Live has allowed me to operate at my highest potential! I have discovered an amazing organic whole food supplement that is unlike any product or supplement that I have used in my life. I first used E3Live in 2004 while I was getting ready for one of my competitions and tried a sample at a health show called the CHFA in Vancouver, BC. I was immediately energized for the day and went into high gear. I started to feel less acidic and bloated and felt like my body could eliminate wastes properly while keeping me revved with energy all day for my grueling 3 hour workouts per day on top of my 8 hour work schedule. This frozen algae makes me feel better overall everyday that I use the supplement. I have used the product religiously since 2004 and it has helped me not only maintain my shape but get bigger and leaner while allowing me to also have more energy to play my other sports like hockey and snowboarding. E3Live is an organic whole Superfood from nature, untouched by the chemicals of mankind that are used in the processing of most supplements on the market. This product is as pure to its natural form as you could get it. I believe that all body types and people from all walks of life could benefit from this product. Whether you are a serious competitive athlete or someone who wants to create health and wellness and increase their energy everyday. Try it for yourself and you will feel the results immediately! 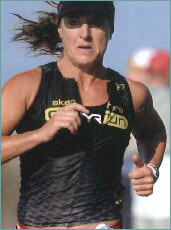 Triathlete Has More Energy With E3Live BrainON! I compete in the sport of Triathlon non-professionally but am a Top ranked Amateur both nationally and internationally for the USA Triathlon and ITU (International) Triathlon. I have completed over 75 Triathlons and won World Championship Bronze Medals twice and won USA National Championships twice. About one year ago I began feeling more fatigued than usual. I was run down and had a drawn look to my face. In reality, I was totally depleted from competition and stress to my body. I was advised to take you product E3Live BrainON Supreme. I have been taking that daily for one year now. First I noticed my hair got thicker, and then I noticed my skin looked better. Then people told me I looked years younger. No other supplements were taken besides E3Live that could have done that. Mainly, though, I had more energy and felt better in my workouts. I am a believer and will stay on E3Live for life now. It truly is a Superfood and I do not think I can compete anymore without it. Thanks E3Live for such a high quality product that has enhanced my performance in Triathlon and my life! I have been a national athlete for the last 15 years. 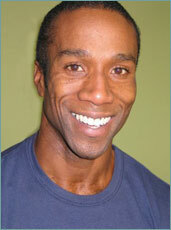 As a personal trainer E3Live has allowed me to motivate myself and my clients to achieve their performance goals. As an athlete, E3Live fills in the blanks for me I noticed mental sharpness and physical recovery. It allowed me to maintain a more intense, higher peak of training for a longer time, not just within a session, but for weeks on end. I notice that I no longer have energy lows, mentally or physically, and my recovery time after training sessions has decreased dramatically. With E3Live, I can continue my training at an elite level. We all make resolutions about starting a healthy lifestyle, but the drive to do this can fade. E3Live will help you succeed where others have failed. E3Live is the product every athlete dreams of. After only two weeks in training, I was seeing time-improvements that would normally take me two months to achieve. Nothing I've ever had before compares to E3Live. I've never loved life so much. I feel very privileged to have had the opportunity to learn of such an amazing food. As a full time yoga teacher I always make the first thing in my day a shot of E3Live and/or BrainON. This product has not only changed my body to happier state but it has helped my yoga practice, it gives me the energy to not only do my own practice first thing in the morning but to also teach afterwards. E3Live has made a huge difference in my energy levels, allowing me to feel strong and positive for my entire day where as before I was always feeling sluggish near the afternoon. Now as my partner Trevor Nugent-Smith and I launch our newest yoga program called "Sacred Fusion" I rely on my E3Live and BrainON to keep me going! Incredible product with incredible results! E3Live is like gold. As a champion bodybuilder, mother of four, and fitness trainer, I feel so lucky to have found E3Live the best food source I've ever consumed. With E3Live, I feel invincible, fully alive, and my recovery time after intense workouts is now much quicker. 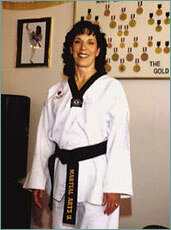 At 57, I'm the oldest competitor to have ever won a U.S. National Tae Kwon Do championship and a Gold Medal in full-contact sparring at an international championship. Some people might think I have a rare genetic make-up that would allow me to do what I do. Yet when I started Tae Kwon Do at the age of 46, I weighed 25 pounds more, couldn't run a block without stopping, and was experiencing the dreaded decline of aging. Instead of my being some extraordinary exception to the rule, I now know that that superior health is available to everyone! E3Live makes a huge impact on my emotional and mental well-being. At 57, I literally have another youth to live. An additional benefit of E3Live has been in keeping my mood positive. E3Live is a breakthrough for the modern human being, something that can strengthen us in the face of today's environmental, emotional and physical stress. E3Live is an important member of my 'team'. I have been taking E3Live for the past five years, and have found it has given me an extra boost through the many challenging and changing interests that I have had. 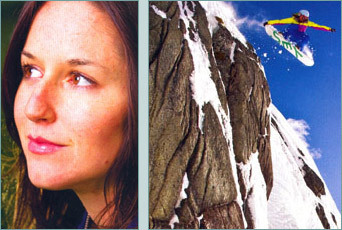 I began taking it as a professional snowboarder, finding it to give me a quicker recovery time and a sustained feeling of well being and health, energy, and vitality through the long days in the backcountry. I have always had an interest in natural health and energy and find it's benefits and effects to be far superior to any other health product I have tried. Working in an industry that is so heavily influenced by the major energy drink companies I have taken pride in being able to share a product that truly delivers the kind of lasting energy for the human body that is honest and health-building. 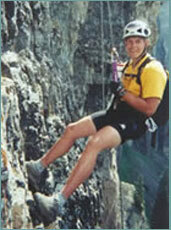 I took a break from taking many of my regular health care products after I stopped snowboarding for a living. As I transitioned into working as a textile weaver, and eventually began reincorporating E3Live and other health products, I actually found that it gave me additional clarity and focus during my longs days weaving, a benefit of it that I didn't fully recognize until I stopped being so physical. Lately I have began snowboarding and split boarding again, and am certain that this amazing product will sustain me back to my peak shape for the next phase of my athletic career while also being a weaver, and finding the balance between the two. I take about a bottle a week and feel a lightness wash over my mind and body when I do. I find my skin clearer, my body and mind stronger and energized, and my vitality for life at a peak when I consume this amazing food. I don't have enough good words to say about it, and only hope that it's benefits for mind and body can reach more people. I have been using E3Live for over 8 years. Because I’m a track athlete and bodybuilder I was searching for a product that would provide extra protein support from a raw plant source. I discovered E3Live and have never veered away from it since. I use E3Live before and after my training as it provides me with pure amino acids in raw plant form, which aids in strength and recovery. E3Live gives me extra energy and helps keep me focused and alert, not only when I’m training but throughout the day. E3Live is also very important when building your physique, for building and maintaining a strong immunity, and just for general overall health! I absolutely love E3Live! Former Pro Basketball Player & Coach Loves E3Live! 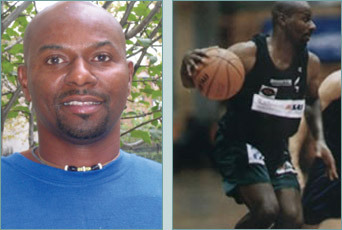 As a former pro basketball player and coach, maintaining my health and fitness is important to me. With daily E3Live consumption, I have not only maintained, but dramatically improved my fitness! My cardiovascular endurance has tripled — plus I now have enhanced mental clarity, focus, communicative skills and a higher state of wellness! 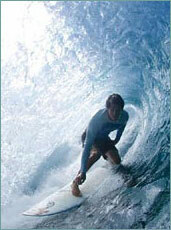 Professional surfing is an incredibly demanding sport, both physically and mentally. The level of competition out on the waves gets more intense all the time. The super-nutrition of E3Live has given me an amazing increase in energy and endurance. E3Live has definitely brought me to a higher level of performance. E3Live has improved my overall physical and mental health. E3Live has absolutely done wonders in my life. When I compete in international events, I now have the strength to paddle as hard as I can, which raises my level of performance. I've experienced a tremendous increase in my mental quickness since I added E3 to my training regimen. I feel 15 years-old again. After taking E3Live, I have experienced an incredible increase in my endurance. I feel like I can keep going. I have increased my times, my recovery is much, much faster, and I don't feel fatigued at the end of my workouts, I feel energized. This food is absolutely fantastic and VERY powerful! The results we are seeing are phenomenal. and get a FREE E3Live family recipe book immediately! BLUE MAJIK E3AFA BRAINON E3 CAMU CAMU with E3AFA E3ENZYMES SUPREME E3PROBIOTICS E3RENEWME!